Pastor Bil and Jessica Cornelius and Church Unlimited’s leadership team are believing in faith for God to do great things through our church. With this in mind, goals for expansion and growth have been set, and we need your help to accomplish this strategy. That is why are holding a special offering titled “All Things New” to challenge our hearts as we undertake the vision God has placed over our church. There is more God wants to do through you, and we need you to step up and answer the call! We ask that you prayerfully consider taking part in this special offering and see what God can accomplish through your obedience! Spend time each day in prayer over the commitment God is calling you to make. 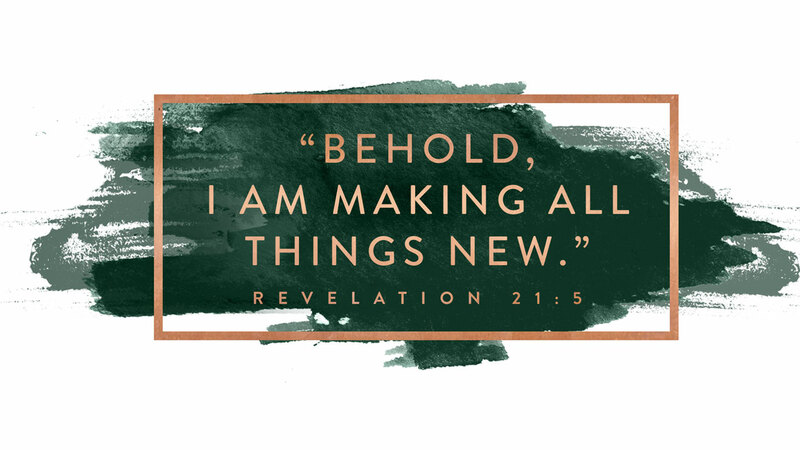 Use the following scriptures as a starting point to enter God’s presence and receive direction for the "All Things New" 20-week special offering. Sometimes prayer is just about gratitude. Consider the ways God has blessed you and your family. Take some time to thank God in prayer for all that he has done. Psalm 9:1 - I will give thanks to you, LORD, with all my heart; I will tell of all your wonderful deeds. The Bible promises in James 1 that God gives wisdom when you ask. Ask God now to give you financial wisdom. Ask for it! Allow him to lead you. James 5:1 - If you need wisdom, ask our generous God, and he will give it to you. He will not rebuke you for asking. It is easy to forget in the day-to-day that God has always taken care of you. Pray today for a renewed trust in God and his ability to take care of you and your finances. Philippians 4:19 - And this same God who takes care of me will supply all your needs from his glorious riches, whichhave been given to us in Christ Jesus. We want to live a life that honors God every day. Be praying about how you can honor God with more than the tithe. Proverbs 3:9 - Honor the Lord with your wealth and with the best part of everything you produce. Give by online check or credit card through your desktop or mobile device. Give by credit or debit card at any Church Unlimited location. Text the dollar amount and campus code ($100 Unlimited New) to 45777. We welcome gifts such as cars, jewelry, land, etc. Please contact us online or call 361-993-5900. For your convenience, this chart displays how much and how often you need to give to reach your goal. Please use this chart as a reference over the 20 weeks of our "All Things New" special offering.